For the average person, sapphires bring up an image of a shimmering blue gemstone. While this idea of a sapphire has much truth to it, there is much more to the precious gemstone than one’s typical preconceived notions. For instance, sapphires aren’t just pretty. They are quite sturdy too. 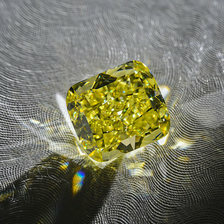 In fact they are the second hardest gemstone after the ultra-durable diamond. Furthermore, as beautiful and mesmerizing as a blue sapphire may be, sapphires are not limited to just the color of the sky. They can be found in every color of the rainbow and even consist of a colorless variety. 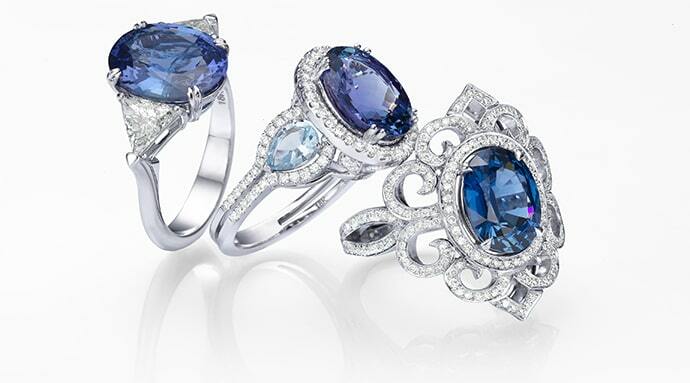 Here are ten great facts about sapphires that you most probably were completely unaware of. The terms stones and gemstones are thrown around quite a bit, but for the most part, while almost all gemstones originate from some mineral (besides from rare exceptions like pearls), not every stone is a gemstone, which is used almost interchangeably with the term precious. This is because some are considered more precious than others and only a select few in the category of precious gemstones. To be clear, the separation between precious and semi-precious is actually not used any longer. Still, many differentiate between the two groups. A stone becomes a gem once it has been transformed from its rough mineral form into a cut and polished jewel. The most lavish gemstones on the planet, diamonds, emeralds, rubies, and sapphires, fall into what was called precious gemstones. All other gemstones are referred to as semi-precious. Some are far less valuable than precious gemstones while others can cost quite the pretty penny. While on the subject of precious gemstones it is imperative to point out that two of these gemstones share the exact same structure. That means that a sapphire and ruby are actually the same type of stone. The only significant difference is that rubies have an exquisite red color. The ruby’s unique color was enough to make it defined as a gemstone of its own, but aside for the element that causes the red color, the two stones have the same gem structure. Only rubies with a strong red color are considered rubies while the lighter stones are known as pink sapphires. Those familiar with the world of gemstones know that one of the aspects is the stone’s hardness. A diamond’s claim to fame, besides for its one-of-a-kind brilliance, is that it is the hardest substance known to man. It ranks 10 on the Mohs scale of hardness, the highest possible ranking. However, next on the scale and still quite impressive is the sapphire as well as the ruby. This makes both of these gemstones phenomenal options for jewelry as they are sturdy and can withstand being knocked around a bit. People love familiarity, which is why it may be comforting to many coming from the diamond world to know that the 4Cs are also used to assess colored gemstones. However, while this may be true, it is vital to understand that they are applied quite differently. 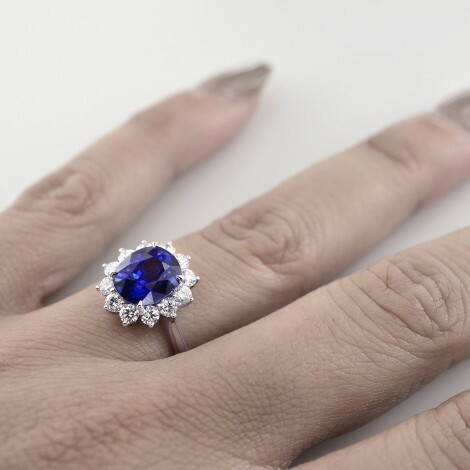 For starters, while color, cut, clarity and carat are all looked at in an equal manner when discussing colorless diamonds they are not dealt with in this fashion when grading sapphires. 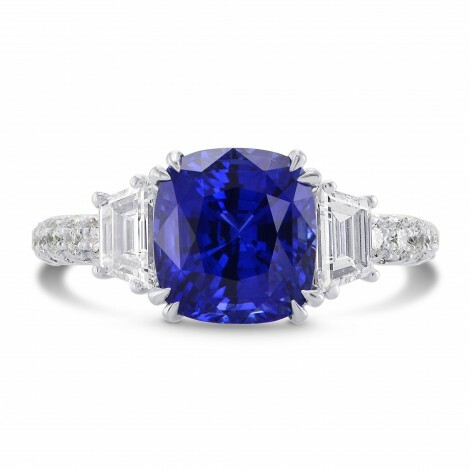 The main reason for this is that the color of a sapphire takes absolute precedence over everything else. We aren’t looking at the absence of color like we do with colorless diamonds but at the presence of color. This puts it at front and center in such a way that we don’t just look to see which color it is, but what secondary colors are present, how intense the color can be seen, and how dark or light the stone is. In official terms, the color, tone, and saturation of a sapphire take priority over all other aspects including clarity, carat, and cut. 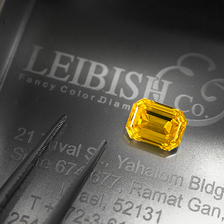 Furthermore, while high quality sapphires are preferred, the quality is not assessed in the same way it is for a diamond. Inclusions can be present within a sapphire and it can still be considered extremely valuable. 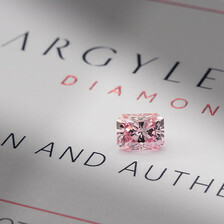 It all depends on where the flaw is found, how visible it is, and whether or not it can be seen minimally compared to the overall color and appearance of the stone. Known mostly for their blue variety, sapphires appear in an array of colors including pink, orange, yellow, green, purple, colorless, and black. These stones make fabulous alternatives to their pricier color diamond counterparts, although some types of fancy sapphires can be quite costly as well. Most precious gemstones and semi-precious gemstones are minerals, and sapphires are no exception. They are a variety of the corundum mineral, which also accounts for rubies. Aside from the different colored sapphires, there are several unique types of sapphires that are singled out from the rest. One such a type is the color- changing sapphire. Like its name suggests, this unusual sapphire displays different colors when it is exposed to natural lighting and artificial lighting. An additional special kind of sapphire is the star sapphire. As a result of the imperfections within the stone, the sapphire can display an asterism, which resembles a star, hence the name. Such sapphires are incredibly rare and highly sought after. There are star rubies as well. Sapphires are mined in locations around the globe but are mainly sourced from Cambodia, Colombia, India, and Kenya. Other areas include Afghanistan, Australia, Nepal, the United States, and Vietnam. Although a sapphire’s color is its most important feature, the cut is a close second. This is because the way in which a sapphire is cut affects its color directly. Therefore, the center of a sapphire must be cut in a way that it reflects light and color. If the center is dead and does not reflect light or color, it is known as a window. Sapphires with large windows demand much lower prices for this very reason. Like everything in life, there is always compromise and like everything else, different things appeal to different types of people. So unless you are adamant and insist on getting the largest, highest quality sapphire with the best color and are able to afford it for that matter, it is recommended to think carefully what matters most to you. Is it the size? The color? The shape? The quality? The larger a stone is, the more chances of it having inclusions. On the other hand, smaller stones are more likely to have fewer flaws. Therefore, if you want the best of both worlds you will need to be ready to pay the price.